Grab your scarf and gloves for a winter beach stroll and then cosy up in a Cornish cafe with a delicious hot chocolate. There are lots of beach cafes in Cornwall to choose from, but we’ve come up with some suggestions to get you started. 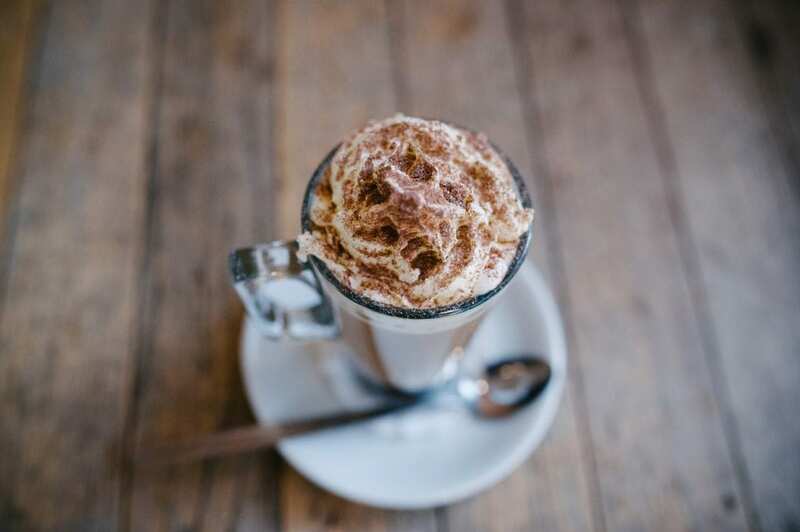 Whether you prefer yours with whipped cream, marshmallows, cinnamon or just the hot chocolate on its own, it’s always best enjoyed with a stunning sea view. Brewhouse Cafe has fantastic elevated views over St Ives Harbour and across St Ives Bay. Their luxury hot chocolate with whipped cream and marshmallows is divine, with the choice of semi skimmed, soy or almond milk. 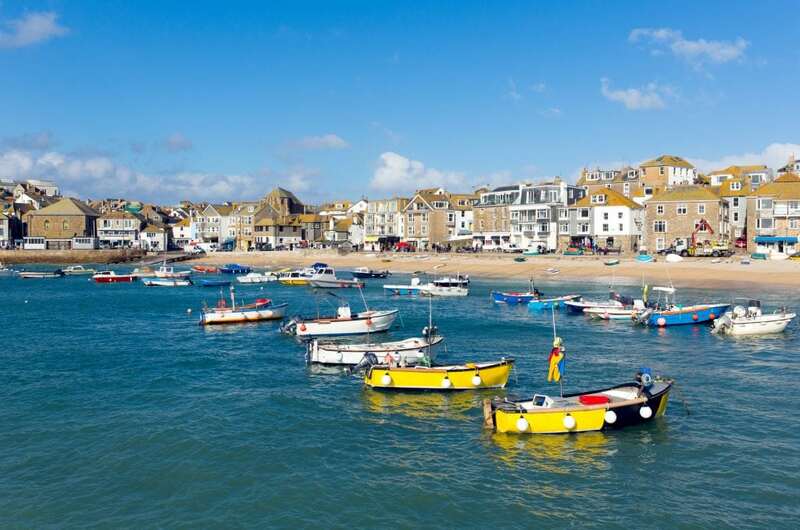 It’s the perfect pit-stop when exploring the galleries, gift shops and boutiques in St Ives. Poldhu Beach Cafe is situated right next to the sandy cove at Poldhu on the Lizard Peninsula. It’s a dog friendly beach from October until Easter so it’s a great place to go for a winter walk with the waggy-tailed members of the family. Walk up the cliff top to enjoy dramatic coastal views or watch your pooch run in and out of the wild waves. Warm up with a hot drink in the cafe and choose from four different types of hot chocolate, including the Poldhutastic and the Proper Job hot chocolate. Porthgwidden Beach Cafe is a cosy and relaxing place to enjoy a hot drink, situated on a beautiful beach which is one of the less busy beaches in St Ives. You can add marshmallows or whipped cream (or both) to your hot chocolate and drink it whilst gazing out towards the horizon, watching the waves lap the shore. This little cafe near Hayle is set over two floors with incredible sea views across to Godrevy lighthouse. Godrevy Beach Cafe serve amazing hot chocolates featuring chocolate buttons and marshmallows which are loved by kids and adults alike. It’s a lovely place to relax after an exhilarating beach walk in wintry weather. Indulge in a gorgeous hot chocolate with a sea view inside the cosy cafe or in one of the outdoor heated seats. Gylly Beach Cafe is located in a spectacular location on Gyllyngvase beach and is a relaxing coastal cafe, perfect for whiling away the hours on a dreary day. Enjoy beautiful coastal views and nip onto the beach for a walk in between rain showers. Porthmeor Beach Cafe overlooks the stunning Porthmeor Beach and is a great place to chill out after a visit to the Tate Gallery. There are cosy heated booths on the terrace which are perfect for wave watching and spotting seals and dolphins. The sunsets are mesmerising here too. A fantastic place to enjoy a hot chocolate with a view and there’s a cocktail menu for later on too! 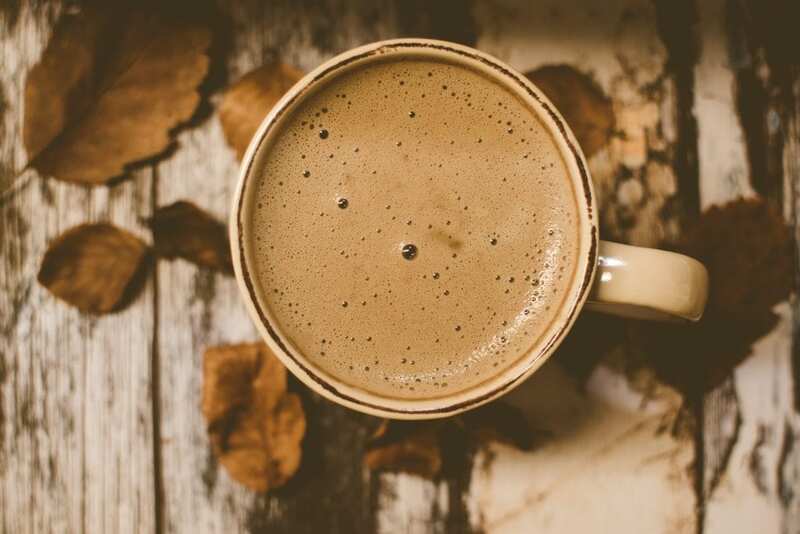 Treat yourself to a luxury hot chocolate, with or without cream, at Porthminster Beach Cafe. This sheltered spot is a great place to relax with a sea view after a coastal walk or a cold water surf! 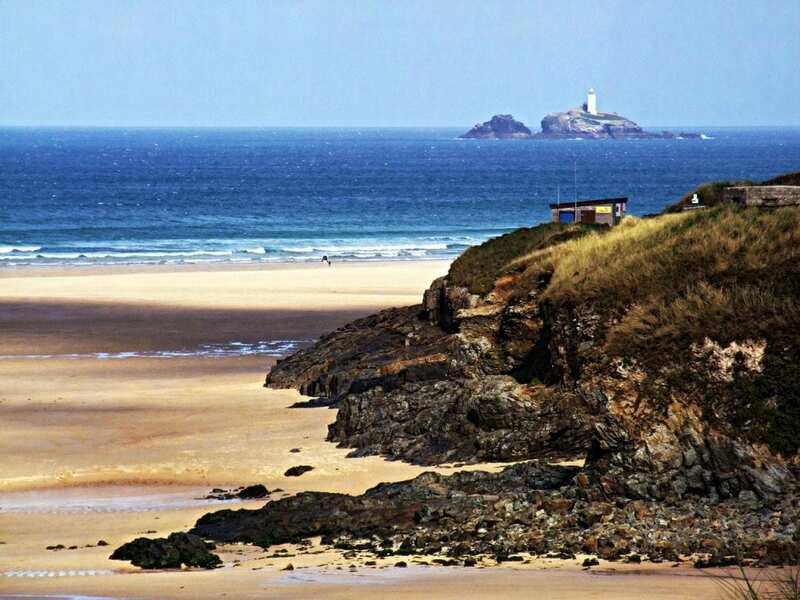 The views across St Ives Bay to Godrevy lighthouse are breathtaking and it’s a great location to escape from it all and unwind with a warming drink. Enjoy a luxury hot chocolate (with cream and marshmallows) or a standard one with panoramic views of Praa Sands beach and the ocean. The Sand Bar is the ideal spot for wild weather watching in the winter and is idyllic on calm days too. Wrap up warm for a stroll across the beach and then cosy up inside for a chocolatey treat. Sip on a posh Sir Hans Sloane Chocolate next to the open fire or wrap up warm and enjoy it in the large garden with a sea view. The Old Coastguard in Mousehole is a great storm watching spot during the winter with atmospheric views out towards the rocks of St Clements Isle. Take a stroll around Mousehole harbour first, always very pretty but particularly enchanting in December and early January when the festive lights illuminate the harbour. If you’re visiting Cornwall during the winter months, see how many different hot chocolates you can fit in whilst exploring the Cornish coast! Some of the cosy cafes are within walking distance from your St Ives cottage and others are only a short drive away.